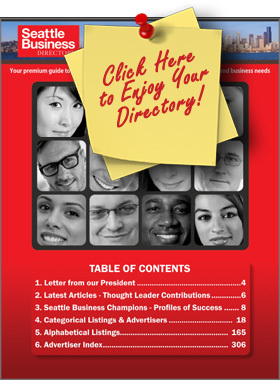 Enjoy your new Seattle Business Directory! 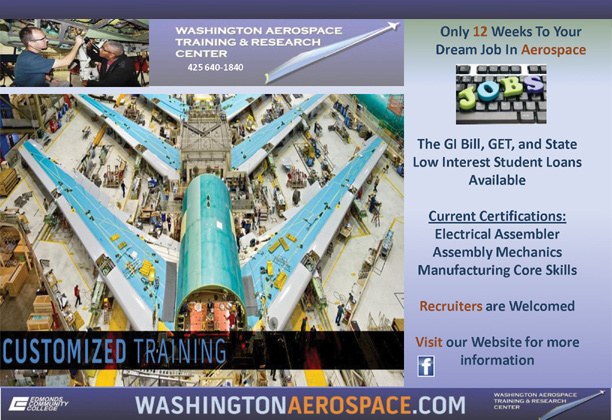 Whether you are visitor or resident in the Puget Sound region, your directory will help connect you with thousands of trusted companies across Seattle and Washington, reaching the Washington state business community for more than 105,000 executives. This is your resource to easily find and connect with top-tier companies offering the products and services your business needs. Listings and ads are available to all businesses large and small. For information about early bird advertisement specials, visit our ADVERTISE page. Copyright © 2016-2019 Seattle Business Directory. All Rights Reserved. Directory Platform by IMAGINE Media Partners. Patent Pending by ORRICK, HERRINGTON & SUTCLIFFE LLP. All Rights Reserved.